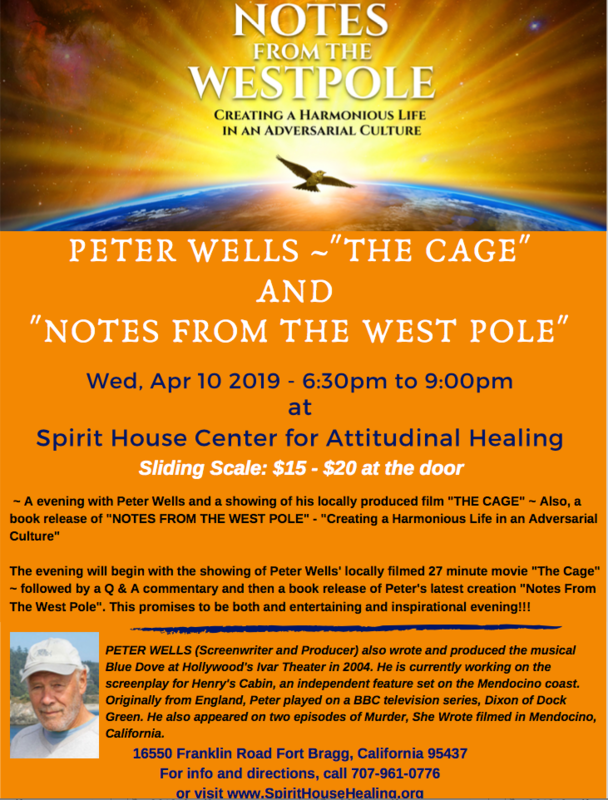 “Spirit House Center For Attitudinal Healing" is 501 (C)(3), nonsecular, charitable organization dedicated to providing support within our community to re-member our true identities as Sacred. At Spirit House Center we have a variety of on-going programs, services, retreats and planned offerings to the community we serve. We work with groups and individuals using Attitudinal Healing Principles to explore healing, inner peace and transpersonal consciousness. We are located in Northern California on the beautiful Mendocino Coast between the villages of Historic Mendocino and the town of Fort Bragg. Located on two acres we can accommodate small groups. Love and forgiveness are the most important healing powers in the world. We define health as inner peace. We define healing as the process of letting go of painful beliefs and fearful attitudes. Read more about "HONEY HIVE ENSEMBLE"
"Spirit House Center For Healing" is THRILLED that Jami Sieber is returning with her soulful music! Yeah~!!!! ~ This is Jennifer's 3rd time back at Spirit House with her CONCERT Sat. 28th ~ Jennifer Berezan is a HIGHLY RECOMMENDED Spirit House event~! Her work is far more than musical ~ it is healing, as well as, expressive of politicss, spirituality & life~! Jennifer Berezan - THIS WEEKEND~!!! Read more about Jennifer Berezan - THIS WEEKEND~!!! Honoring Mothers and Celebrating Gaia, Life and the Birthing of the New~~~~~. Keep up to date with news, information and events.